Condition: Full Furniture + Electronic. 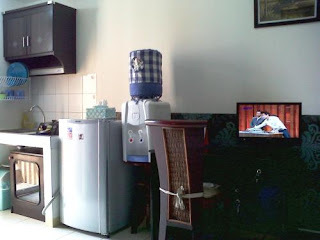 Wallpaper, 2 Sliding Door Wardrobe, Mirror, Air Conditioner (AC), 1 Door Refrigerator, Kitchen Set, Completed Cooking and Dining Equipment, Writing Table and Chair, 1 Burner Gas Cooker, Dispenser and Galon, TV LCD 19" and 21", Carpet, Standing Fan, Mini Sofa, No Water Heater. Facility: Basement parking area, 24 hours security, mini-market, bank, laundry (kg), Restaurant, Pizza Hut, access card for elevator, swimming pool, children playground, tennis court, jogging track, canteen, etc. 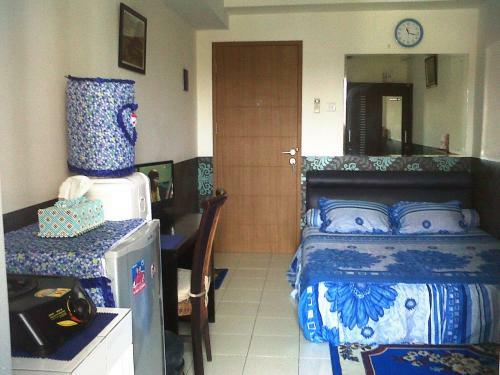 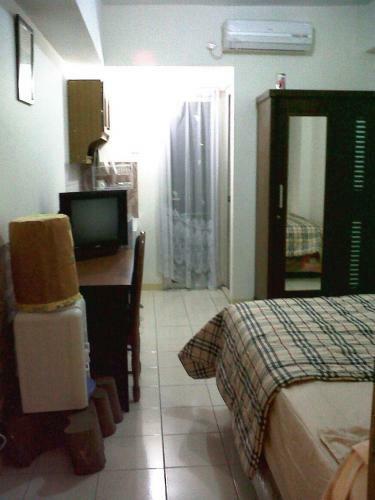 Additional Info: Great location at the heart of Depok city (Campuses and business area). 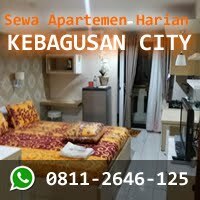 Near to Indonesia University (UI Depok), UI Train Station, Gunadarma University, Pancasila University, Bina Sarana Informatika (BSI), Bunda Hospital, Margocity Mall, Depok Town Square, ITC Depok, Mall Depok, Bank, Gramedia Bookstore, 24-hours Transportation. 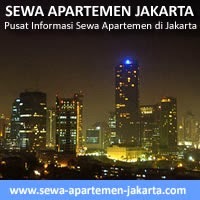 Easy access to Lenteng Agung South Jakarta and highway (Jakarta’s Outer Ring Road – Toll JORR). 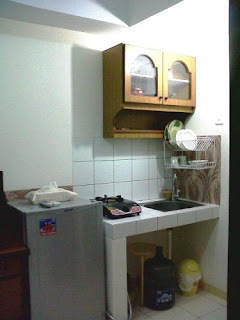 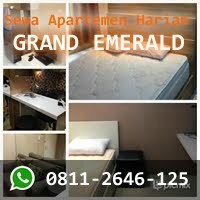 Rent Charge: Rp 250.000/night on weekday, Rp 275.000/night on weekend, Rp 700.000/3 days. 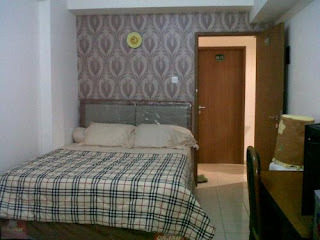 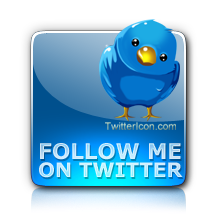 Rate all in, plus deposit Rp 200.000 (Refundable). 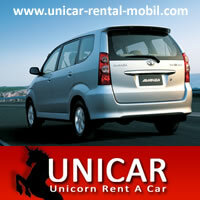 Easy booking: copy of ID card + booking fee min. 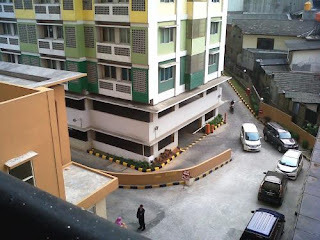 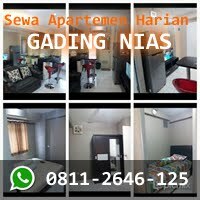 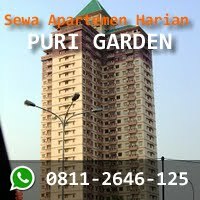 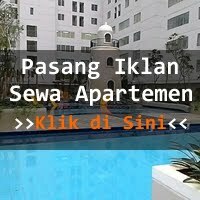 Rp.200.000 or 30% of total rent fee.